Perry Simon is Chief Programming Executive and General Manager, General Audience Programming at PBS. In this role, he oversees the entire non-children’s programming strategy and budget, including the acquisition, development and production of world-class content for PBS and member stations. Working in close partnership with local stations and producing partners, and through leadership of the General Audience Programming team, Simon is focused on delivering mission-driven content across genres that educates, inspires, entertains and expresses a diversity of perspectives. Simon’s extensive leadership experience stretches from major broadcast companies and cable networks to digital upstarts and production companies. He joined PBS from social impact media company Vulcan Productions, where he served as managing director with oversight of the development and distribution of feature documentaries, television series and digital content. From 2010 to 2015, Simon served as general manager of BBC America, overseeing the channel’s cable and digital platforms. During his tenure, he commissioned the network’s first original programming, including the Emmy Award-winning hit series “Orphan Black,” and helped orchestrate multiple US-UK co-productions, including “Luther,” “The Hour” and “Broadchurch,” and several documentaries in partnership with the BBC’s natural history unit. Earlier in his career, Simon spent a decade as president of Viacom Productions, overseeing the development and production of series and movies targeted for broadcast and cable networks, as well as first-run syndication, international markets, children’s markets and emerging digital platforms. Simon has held leadership roles at the intersection of traditional television, film and digital media. As chief content officer at the Silicon Valley startup Sezmi Corporation, he executed licensing deals with networks and major film studios to launch one of the earliest OTT television services. He also served as an early advisor to YouTube, up through its acquisition by Google. 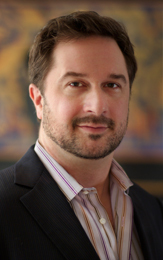 A member of the British Academy of Film and Television Arts, Simon serves on the board of directors of the Oregon Shakespeare Festival in Ashland, Oregon, one of America’s oldest and largest regional theaters, where he helps lead work in the areas of digital innovation and equity, diversity and inclusion. He holds a B.A. from Stanford University and an M.B.A. from Harvard Business School. 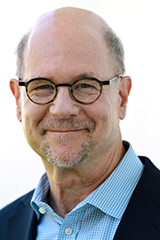 As Vice President, Programming & Development Bill Gardner oversees content strategy, development and production for the PBS Primetime schedule in the genres of history, culture, natural history and science. He works closely with flagship PBS strands such as Nature, NOVA and American Experience as well as managing a large portfolio of independent projects. During his time at PBS, projects Gardner shepherded have won three Emmy Awards, two Peabody Awards, a Dupont-Columbia Award, an Imagen Award, an NAACP Image Award and numerous Jackson Hole Wildlife Film Festival and Wildscreen Awards. International co-productions he has developed or commissioned have also earned several BAFTA and Grierson Awards. Bill is particularly focused on collaborating with producers and distribution partners to reach younger and more diverse audiences and expand content reach across distribution platforms. Recent projects include natural history specials such as Earth A New Wild and Your Inner Fish; landmark cultural and history series Native America; The African Americans: Many Rivers to Cross; Africa’s Great Civilizations; Black America since MLK: And Still I Rise; Latino Americans and Soundbreaking: Stories from the Cutting Edge of Recorded Music. He also oversees or developed formatted ongoing series such as Finding Your Roots and No Passport Required with Chef Marcus Samuelsson, in addition to helping bring The Great British Baking Show to PBS. Bill also oversees the PBS-BBC co-production partnership, with successful multi-platform focused output such as Big Blue Live, Wild Alaska Live, Earth’s Natural Wonders and Spy in the Wild in the Science and Natural History genres, and Basquiat: Rage to Riches in the Arts & Culture space. He also developed and oversaw Civilizations, a marquee reboot of the 1969 classic BBC series on the history of art and The Great American Read, the first ever major television and multiplatform campaign to identify America’s best loved novel. Before joining PBS in 2012 Gardner was Executive Producer at Discovery Studios, where he oversaw and developed national productions in the documentary, reality, lifestyle and CGI genres for multiple networks with partners such as the NFLPA, Petfinder.com and the Department of Defense. Prior to that he spent over a decade in the independent production world, working as director, producer, writer and show runner on projects for multiple networks both in the US and globally, including National Geographic, CNN, Discovery and The History Channel. He has produced programs in over 30 countries, including spending 2 months embedded with US Special Forces investigating the looting of Baghdad’s Iraq museum in 2003. During this time he was also the first Westerner allowed to film inside the holy Shi’i shrines of Abbas and Hussein in Karbala. Bill holds a Masters Degree in cultural anthropology, has taught university programs in Arkansas and Marrakech, Morocco and is on the board of the Jackson Hole Wildlife Film Festival. As Vice President, News & Public Affairs for PBS, Marie Nelson is responsible for collaborating with executive producers of acclaimed PBS news and public affairs series, as well as independent producers, to develop and direct innovative approaches to engage audiences in current events across these programs and platforms. 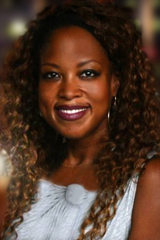 Ms. Nelson is a seasoned content developer with experience in public media and other broadcast and cable organizations. Prior to PBS, she served as executive producer of national programs at PBS member station WGBH. At WGBH, she oversaw the production of AMERICA BY THE NUMBERS, an eight-part documentary series that explores the impact of America’s changing demographics. Prior to WGBH, Ms. Nelson was the acting vice president of news & original programming for BET Networks, where she oversaw a range of cross-platform projects, including Battleground 2012, a yearlong politics initiative. She also served as the founding executive producer for NPR’s “Tell Me More” and as a producer for “Nightline” with Ted Koppel and “World News Tonight” at ABC News. Nelson has also served in public affairs and international development roles with the U.S. Department of State, the Rainbow/PUSH Coalition and Africare. 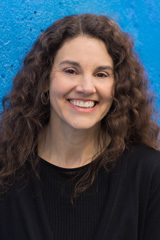 As Vice President of Children's Programming for PBS, Linda Simensky collaborates with producers, co-production partners and distributors throughout development, production, post-production and broadcast for existing and new series including Curious George, Super Why!, Dinosaur Train, The Cat in the Hat Knows A Lot About That, Sid the Science Kid, Martha Speaks, WordGirl, The Electric Company, and Wild Kratts. Prior to joining PBS, Ms. Simensky was Senior Vice President of Original Animation for Cartoon Network, where she oversaw the development and series production of The Powerpuff Girls, Dexter's Laboratory, Samurai Jack, Courage the Cowardly Dog and other major projects. Ms. Simensky began her career with a nine-year tenure at Nickelodeon, where she helped build the animation department and launch such popular series as Rugrats, Doug and The Ren & Stimpy Show. She is a past-president of ASIFA-East, and the founder of New York chapter of Women in Animation. She has lectured at numerous colleges and animation festivals, and has taught courses in animation at the School of Visual Arts in New York. She has written for numerous animation publications and has had several essays published in books including "Nickelodeon Nation" and "The Children's Television Community."